Frog's VLE platform offers exceptional creative control enabling teachers, staff, pupils and parents to fully embed learning into the school's working practices and tailor learning to the needs of the school and students. With a huge range of courses available, it's important to research what's right for you. UCAS will show you all the options – including the alternatives to Uni. UCAS will then take you through the application process for the courses you wish to study. ULAS prepares you for the gigantic leap from school to university and school leaver employment. Designed by teachers, ULAS allows you to manage a number of different aspects of school life in one place. Including recording enrichment experiences, personal statement and CV writing and access to exclusive opportunities. 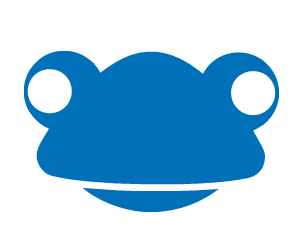 Unifrog brings into one place every university course, apprenticeship, and college course in the UK, as well as other opportunities, such as School Leaver Programmes, MOOCs and every college at Oxford and Cambridge. The platform makes it easy for students to record what they're good at, write their CVs and Personal Statements. Teachers can give their students feedback, and write references. Everyone knows their next task, and nothing gets lost. An excellent easy to use revision tool. GO 4 Schools is a powerful, joined-up, online system that supports whole-school improvement. It makes it easy to capture, analyse and share classroom data in real time, allowing staff, students and parents to make better decisions. It's the efficient, smart and agile way to work with school data.